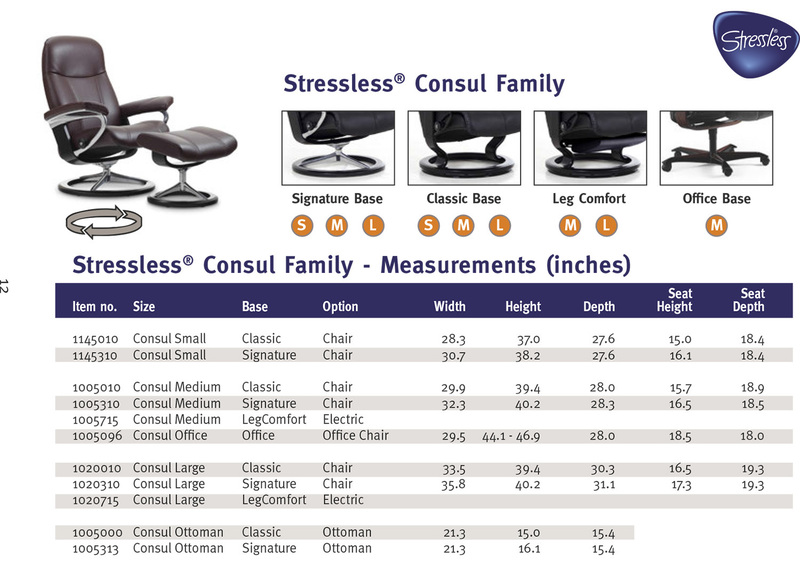 Stressless Consul Office Desk Chair by Ekornes Seating Furniture. 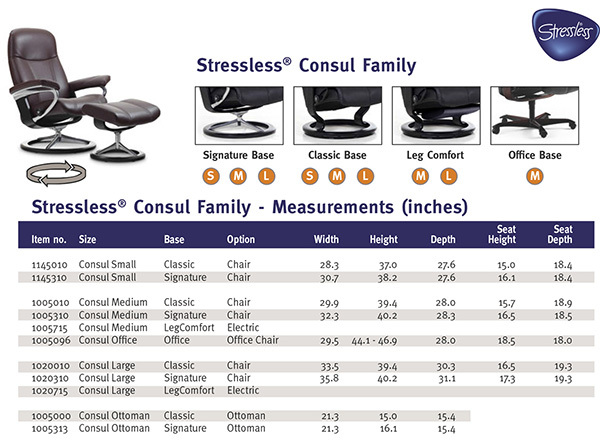 Stressless Consul Office Desk Chair by Ekornes. Stressless Home Office Seating from Ekornes offers a stylish design covered in high quality leather with doctor endorsed ergonomics. The Stressless Office Chairs offer a more modern design for those who want much more than a Chair for their office space. The Stressless Office Chairs are available in a wide variety of colors and styles to match your office space. 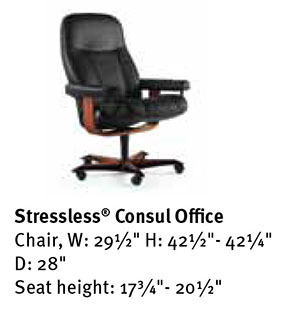 The Stressless Office Chairs are only available at Stressless Office Locations such as Vitalityweb. Visit our San Diego or Lake Havasu City Arizona Showrooms. We have the Largest In-Stock Selection of Stressless Recliners, Herman Miller Seating, Human Touch Massage Chairs, The Perfect Chair Recliners, Fjords Recliner Chair and More. Fast Shipping from our Warehouse. 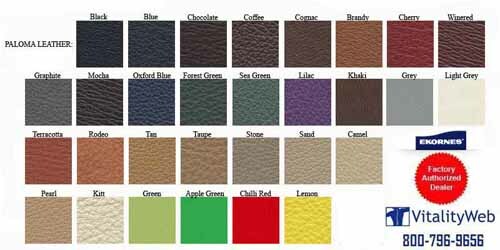 Top of Chair Height Range is 42.5 - 45.4"
Seat Height Range is 17.8 - 20.5"
QuickShip Leather Colors are Black, Burgundy, Cream and Latte Batick Leather. 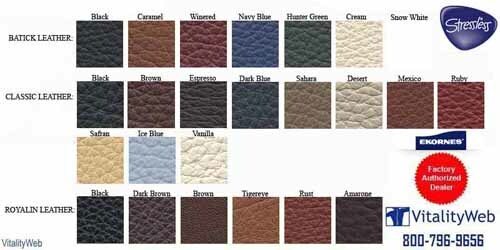 - All Others are Custom Order 3-4 month lead time colors and fabrics. 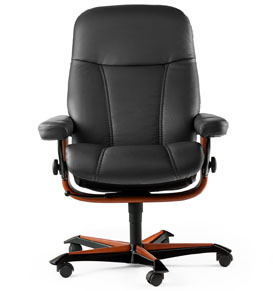 �Stressless Comfort Zones� give the user the optimal seating comfort in any position. �Stressless Plus� system automatically adjusts the lumbar support along with the headrest to give the user the perfect support in any position. �Stressless Glide wheels allow the user to use their body to find the most comfortable position. �Stressless 10-year warranty included on all the internal mechanisms. �Ekornes Stressless Products are proudly endorsed by Doctors of the American Chiropractic Association. �Stressless Office Desk Chairs are built to last while providing years of comfort and spinal support. The Stressless Consul Office Desk Chair is built with perforated foam that is molded directly over the frame for durability and user comfort. The indentations in the new Stressless Comfort-Zones� technology allow the user to sink deeper into the seat providing more comfort. The extremely soft internal polyester fiber cushions the users body while also guaranteeing a much more attractive design. Stressless' patented Glide system automatically adjusts to the users body weight without additional adjustments. Chair height is easily adjusted with the height-adjust handle under the seat cushion. Stressless Desk Chairs include a unique base with casters that were carefully developed and designed to give optimal the user the most stability and full movement. The Stressless Unique patented Plus� system provides the user continuous support for their head and lower back. The chair's durable steel frame and flexo springs provide superior resilience and continuous support for the user. Stressless Office Desk Chairs are built to last while providing years of comfort and spinal support.